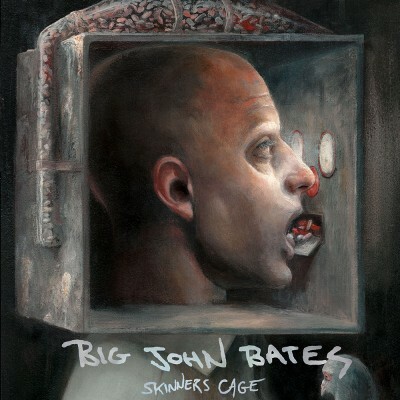 "Skinners Cage“ is the third full-length release from Big John Bates’ Noirchestra. 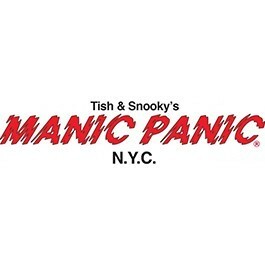 Starting the LP we find all of the modern Devils rampaging in this newest creation of Hell, while „Broken English” and cultural conflicts are reflected in Brandy’s intense version of „Broken English”. Tragedy and horror culminate into Big John’s lament for „Halcyon” days just out of reach. The cover songs also include the band’s tribute to West Coast punk pioneers „Dead Moon”. „Harrow” is a mournful goodbye to a lost father while the title track is the epitaph and the epicenter of the album. Overcoming loss and loneliness is a golden thread running throughout the record and into a duet with Brandy Bones’ creepy version of Kurt Weill’s original with Big John invoking the darkness and RequiEmily exorcising wandering spirits with eclectic violin. Absolutely nothing drags ethereal violins over asphalt guitars like the new Big John Bates album Skinners Cage. He and his band, the Noirchestra, have begged, borrowed and stolen moments in recording studios to capture their vision of Americana Noir. A sound born of the dead things Brandy Bones collected from her gothic Montana roots & rusty riffs Big John Bates uncovered in some dark garage in the Ottawa Valley is now powered by Ty-Ty‘s percussive soundscapes and adorned with RequiEmily’s post-punk violins. Already known for their dramatic performances across Europe, North America and Japan, Big John Bates has conceived and committed to ten songs reflecting the heavy, marbled vinyl they’re etched into. Skinners Cage is a record with drums borrowed from the legendary Trio in Lower Saxony and sung live in a vintage Vancouver yacht. It’s inspired by tantalizing lies and wrapped in Felix Fung’s textured mixes, falling and rising like an epic tide.